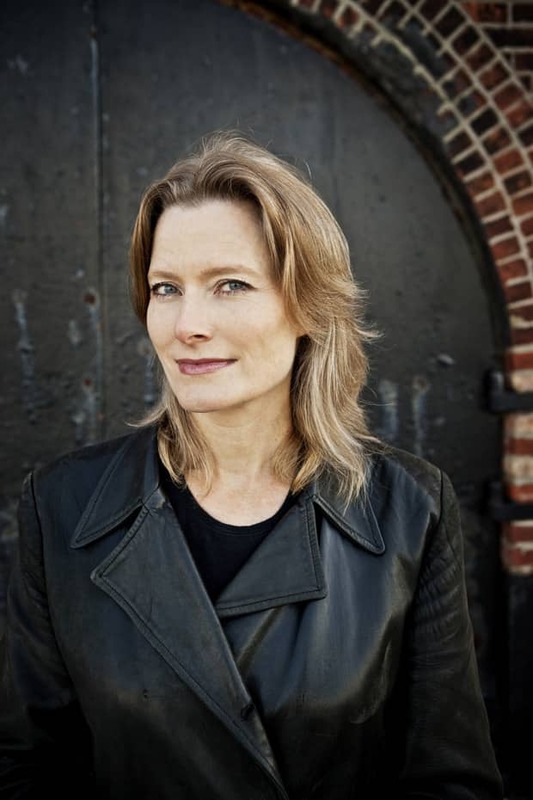 Basically, Jennifer Egan's novel/book of interconnected short stories/whatever, A Visit From the Goon Squad, is comprised of a few folk's tales told in the past, present and future. Most of these folks have found themselves moved by music, some from the business end, some from its blunt honesty. You know the people who streamed The Beatles out into space so that aliens would hear that first before anything because "All You Need is Love" embodies everything that is pure about the human spirit? A couple folks like that. Except they also like to slam dance. Or go on safaris or take pills. Or have children and difficult relationships or a hard time just getting a job and being a regular person. To those of you who have found much of what you do soundtracked—and if you are on TheFADER.com, we're guessing that is you—it's a strongly moving book about time and growth, and what's exciting about being young and old, and what's difficult about both. It's heavy but never clunky, sympathetic but never, ever pandering. What we mean is that a girl writing in Powerpoint (literally in Powerpoint—see for yourself) about her brother's obsession with songs that contain brief pauses is going to rival all those heads on sticks/horror, the horror in Heart of Darkness. We spoke with Egan about her book and authentic mohawks, check it after the jump and buy a copy of the book. How is A Visit to the Goon Squad so heavy and occasionally harsh but also super engaging and quick to read? Some (all?) of the themes are about the many types of life's bummers and the realities of aging but it's a book that still feels light, airy and often really funny. One of the keys to writing this book was that I didn’t focus much on the “big picture.” Instead, I threw myself into the individual stories and dramas, trying to make them as lively and vivid and funny as possible. While I knew they would combine into one big story, I required that each one stand completely on its own. I think the independence of each chapter is what accounts for the light, airy feeling overall. There isn't that central narrative looming over everything. Why base such a sprawling story around music? Is music pure for young people and then automatically slimy and grim business for older folks? Does it have to be like that? Honestly, I don’t know all that much about the music business! But many roads led me to write about it in this book. 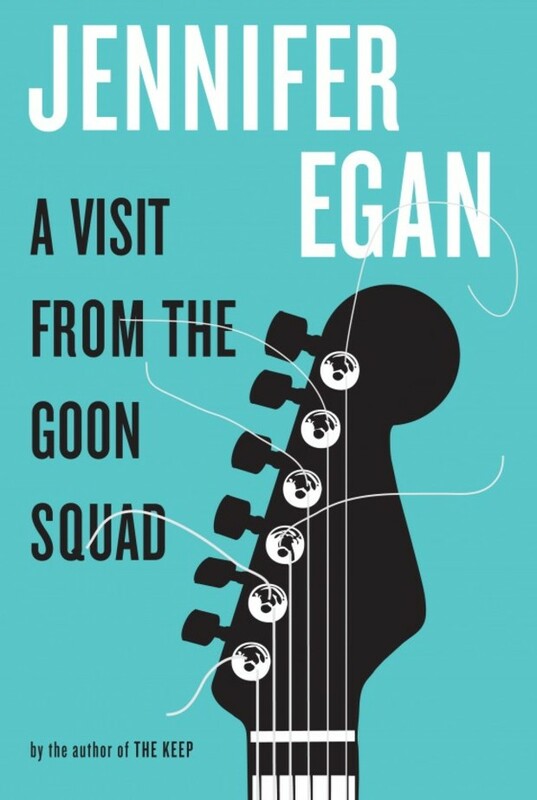 First of all, Goon Squad is a book about time, and nothing makes time seem to vanish more effectively than music, especially the music we listened to as teenagers. And it's also a book about technological change, and the music business—as we all know—has been decimated by technological change. And finally, it's a book about growing up, and part of growing up is watching our relationship to music evolve over time. How much of the early SF punk history did you get to see yourself? Are you ever not punk if you were punk? When does a fake mohawk become a real mohawk? I never had a fake mohawk OR a real Mohawk, I'm ashamed to say! What I remember, quite clearly, was the feeling of wanting very badly to be “real.” What exactly that meant to me is less clear. I did witness some of SF’s punk history firsthand; I went to many, many gigs at the Mabuhay Gardens, and certainly heard some great bands: the Sleepers, Flipper, X. I was the type of kid who looked totally normal, but then I’d tease and spray my hair before going out, and line my eyes with lots of black, trying to look authentic. I didn’t even have the courage to color my hair; I was a conformist and an observer, even as I fantasized about being an out-of-control maniac. Do you want kids, younger adults, to read the book as a sort of prediction/caution? Do you feel like things truly do get easier? The young folks in here have it hard. The book is absolutely NOT meant as a cautionary tale. Live and let live, I say! Being young is about doing crazy stuff, and getting older is (in part) about reckoning with some of the crazy stuff you did or didn’t do. One of the hardest things about being young is that you haven’t yet recognized the transformative power of time, but that’s also what accounts for the sense of freedom and possibility. Being a teenager or a young adulthood can be ragged and painful and intense—that’s why you’ll remember and marvel at the experience for the rest of your life. How did you make a chapter written in Powerpoint not super corny? Because it is awesome and totally heartbreaking. Where did that idea come from? The PowerPoint chapter was a complete obsession; I was dying to write fiction in PowerPoint without really even knowing why. You’re right—one of the biggest challenges was not letting it be just a corny gimmick. I think the key to avoiding that was making my narrator a 12-year-old girl. I’d tried writing in PowerPoint using an adult narrator, but that felt both horribly corporate and horribly cute. A 12-year-old is just trying to tell her story—in this case, the story of her older brother’s Asperger obsession with the pauses in rock and roll songs. It was only as I really got into that chapter that I understood why I’d wanted so badly to write in PowerPoint: it allowed me to represent pauses visually, and Goon Squad is all about pauses—the gaps between dramatic moments, and the times when time seems to stop. That PowerPoint chapter turned out to be the heart of the book. What have you been listening to lately? What do you still love from the ’70s California punk you write about? I still love two of Iggy Pop’s early albums, The Passenger and Lust For Life, from right after he left the Stooges. I have songs by The Stranglers and Negative Trend on my iPod, which I like in small doses. There are a couple of Sleepers videos on YouTube that I’ve watched a lot, “Sister Little” especially. As for lately, I’ve fallen hard for the Norwegian group Kings of Convenience, which is funny because their music is pretty soft and normally I don’t go for that. But I’m absolutely crazy about them. I also love Madeline Peyroux and Kaki King. Do you think people outgrow music? Is that sad or ok? Does everything have a soundtrack? I don’t think people outgrow music, but they might outgrow a sense of music’s immediate urgency in their lives. Right now my 9-year-old son is deeply into Eminem. He’s read juvenile biographies of Eminem and listens to his music nonstop. He writes his own songs in the style of Eminem. He’s convinced me that Eminem is a genius, and now we walk down the street together, my son and I, listening to Eminem on my iPod, one earbud in each of our ears. But it’s not the same for me as it is for him—I’m way too old to feel, as he does, that the music is defining me, or showing me who I am. I remember that feeling, and I loved having it, but I don’t see that happening again. For me, Eminem is about connecting with my son, not myself. That doesn’t seem sad; it feels like the next phase in a natural progression. For me, Eminem is part of the soundtrack of motherhood!